We all know that sugar is not good for us. It leads to a host of health concerns varying in seriousness. Personally, I have been really listening to my body and have noticed that when I have a large amount of direct sugar (e.g. a milk chocolate bar) I get pain in my mid back. I'm guess that is my kidney but it's a total self-diagnosis. To get rid of the pains I ensure I drink a lot of water and that seems to make a huge difference. Fool that I am I do keep testing this theory with the same results. Sugar is addicting and hurting my body and I'm doing everything I can to kick the habit (or reduce it so I don't get pain from it). When I came across this "How Your Family Can Eat a Sugar-Free Diet" article by Parents, I was intrigued. Some of their suggestions are definitely do-able. Read the full article here. 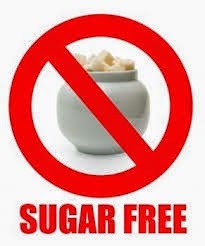 Have you tried to have a sugar-free lifestyle? If so, how did you begin your journey?